Preheat oven to 325°. 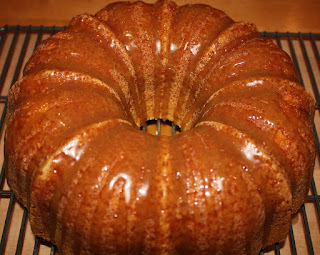 Grease a 14 cup Bundt pan and sprinkle turbinado sugar around the pan. Set aside. Whisk together flour, baking soda, salt, cinnamon, ginger and cloves together and set aside. In a large mixing bowl, cream butter, sugar and brown sugar together for 3 minutes, scraping the bowl down as needed. Add eggs, one at a time, scraping the bowl down in between additions. Add vanilla. Add ½ the dry ingredients followed by all of the sour cream. Blend in remaining dry ingredients. Mix in pumpkin puree. Transfer batter to prepared pan. Bake at 325° for 75 minutes. Cool in pan for 10 minutes. Transfer cake to cooling rack and cool completely. Place butter, brown sugar and salt in small saucepan. Bring to a boil and boil for two minutes. Remove from heat and stir in cream. Set aside to cool completely, stirring occasionally. Transfer to a liquid measuring cup and very lightly drizzle one layer of caramel sauce over the cake. Allow to set. Transfer cake to a serving plate. Serve the cake with warm caramel sauce on the side. Place a piece of wax paper under the cooling rack before drizzling the caramel sauce over the cake. 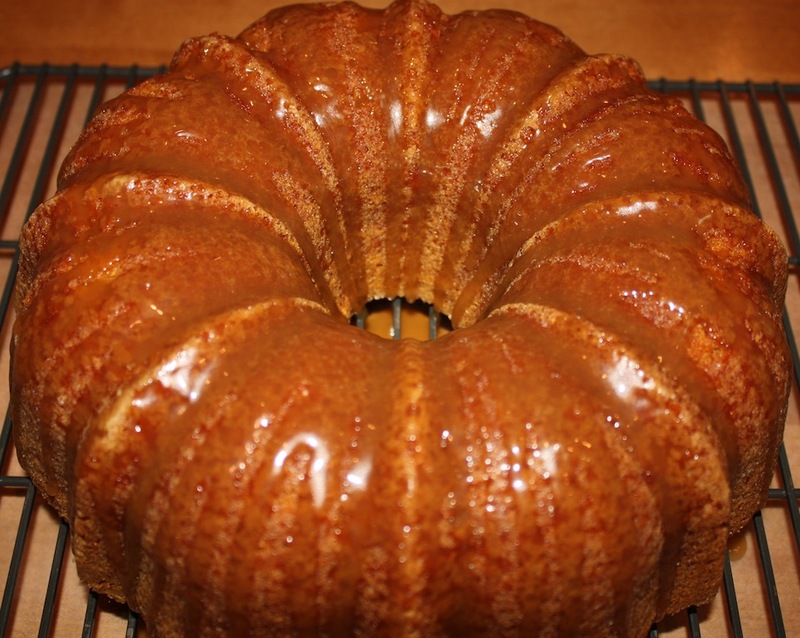 Pumpkin Bundt Cake is delicious warm or cold. Try scooping cinnamon ice cream over a slice of the cake and then drizzling caramel sauce on top. The caramel sauce is also delicious to dip apples into.